This bright, renovated open studio is now available for a one to three month short term furnished rental. 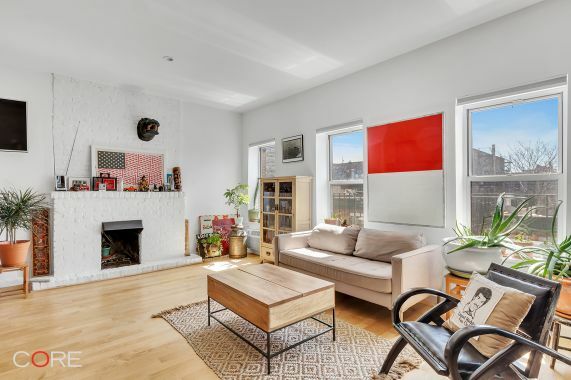 This East Village high floor condo apartment faces south and has gorgeous light all day long. There's a built-in Murphy bed, a gorgeous open kitchen with a dishwasher, and plenty of storage. The unit is comfortably furnished with an eclectic contemporary feel and you are only one flight up when you want to relax on the common roof deck. Sorry there are no pets allowed.